These conference center leaders from around California saw the value of adding disc golf to their facilities. BitTorrent engineers on hole 18 of Golden Gate Disc Golf Course. 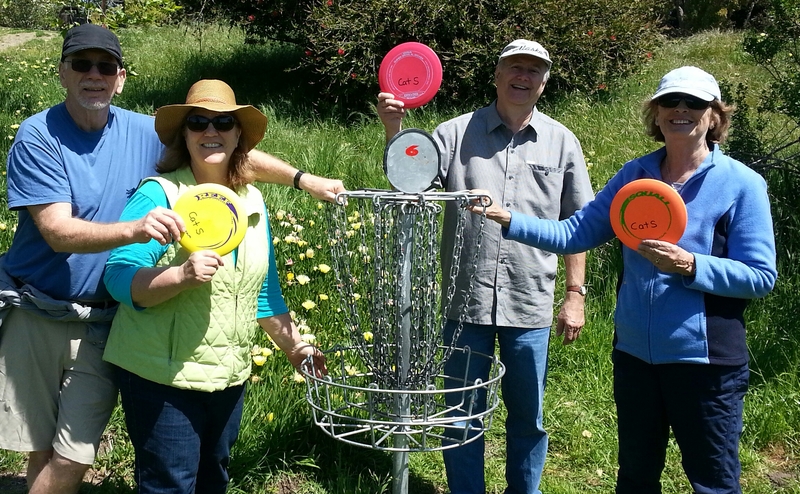 After two hours of introductory lessons, these two retired couples plan to take up disc golf as a primary outdoor activity. Putting in disc golf is fun right from the start! A brief instruction period, then on to the fun! These guys were hooked from the first throw. The instructor has a much fun as the students!